The inaugural World Islamic Economic Forum (WIEF) was held in Kuala Lumpur from 1st – 3rd October 2005 with the theme ‘Forging New Alliances for Development and Progress’. An important early decision by WIEF was that the Annual Forum would include not only Organization of the Islamic Conference (OIC) member countries and Muslim communities outside of OIC but also non-Muslim business communities across the globe. From its inception the aim of WIEF, often now referred to as the ‘Davos of the Islamic World’, has been to build bridges between businesses – and between business and government – both within the Ummah and, increasingly, with non Muslims. 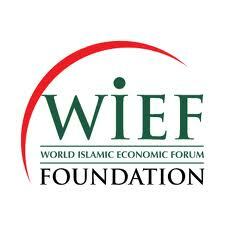 WIEF believes that these ‘bridges’ will encourage investment and skills transfer which will in turn increase economic opportunities and reduce income disparities among the World’s ~1.8Bn Muslims – who collectively earn 80% less than world average income. Sharia Economics: A solution to current crisis? A growing trend of dissatisfaction with conventional economics has raised interests in finding an alternative paradigm leading to the revival of Islamic economics over the last few decades. 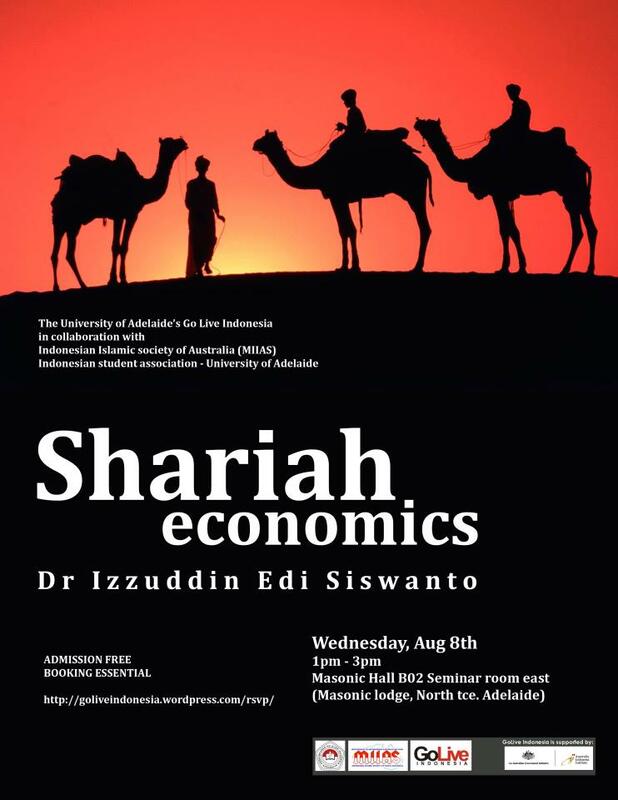 On 8 August 2012, Dr Izzuddin Edi Siswanto explained how Islamic economics may provide solutions to existing problems in the financial markets as well as its contribution and potentials to address development challenges. Please join us to this exciting event! If you asked this question “Is Indonesia a democracy?” to Indonesians, chances are you would get mixed responses. People’s responses would likely depend on ‘when’ you asked the question. The beginning of president Yodhoyono’s second term might be one of the periods when Indonesians were pretty much confident that they were in the right direction towards becoming a democratic country. 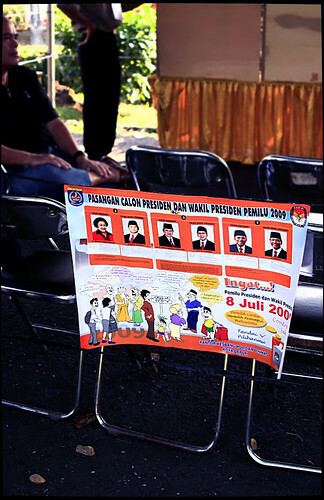 SBY won the 2009 election by over 60% of the vote. It was a clear victory. The term ‘lanjutkan!’ or ‘continue!’ was very popular highlighting Indonesians’ great hopes to ensure that the progress that SBY had achieved in the first term of his presidency to be continued and that democracy in Indonesia continued to mature. Famously quoted by media, Hillary Clinton during her 2009 visit to Indonesia said “If you want to know if Islam, democracy, modernity and women’s rights can coexist, go to Indonesia.” Indonesia has gained more popularity becoming a model of democracy and an Islamic modern society. Between 12 and 14 August 2011, The Indonesia Halal Business and Food Expo (IHBF Expo) was held in Jakarta under the theme of “Halal Values ​​In All Aspects of Business”. Halal is an Arabic word meaning lawful. It refers to things or actions permitted by Shariah law without punishment imposed on the doer. In regard to dietary laws, Halal defines acceptable food, slaughtering procedures, and how Muslims get the money they use to purchase food. The event which was held during the fasting month Ramadhan highlighted several key aspects in regard to the development of Halal business and food production in Indonesia.